Dimensions 0.25 by 6 by 9 in. The first region was called the Plain of Life, the second the Plain of Death. The supreme and all mighty Brahma had created both plains, and had commanded the good Vishnu to rule in the Region of Life, while the wise Siva was lord in the Region of Death. "Do what ye understand to be best," said Brahma to the two rulers. Hence in the region belonging to Vishnu life moved with all its activity. The sun rose and set; day followed night, and night followed day; the sea rose and fell; in the sky appeared clouds big with rain; the earth was soon covered with forests, and crowded with beasts, birds, and people. So that all living creatures might increase greatly and multiply, the kindly god created Love, which he made to be Happiness also. "Thou canst produce nothing better on earth, and since heaven is created already by me, do thou rest and let those whom thou callest people weave the thread of life for themselves unassisted." About: The first region was called the Plain of Life, the second the Plain of Death. 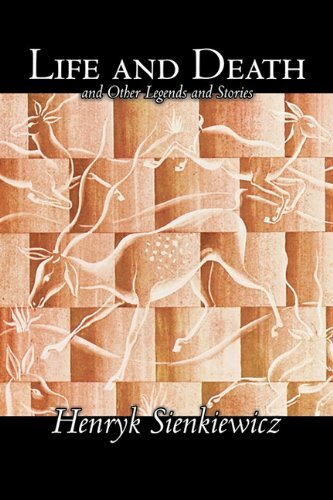 from Createspace Independent Pub (March 3, 2014); titled "Life and Death, and Other Legends and Stories"
About: This book is a replica, produced from digital images of the original. About: Thank you for checking out this book by Theophania Publishing. About: CONTENTS Life and Death: A Hindu Legend Is He the Dearest One?